I really enjoyed watching Bourdain on TV, sometimes wishing I was him travelling to all those exotic places meeting all kinds of people and trying those amazing food. Anthony Bourdain’s shows were most delightful and one of the few i followed. His shows were a combination of food, travel and people. He went all over the world and brought us delightful stories about lives on the street and remote places. 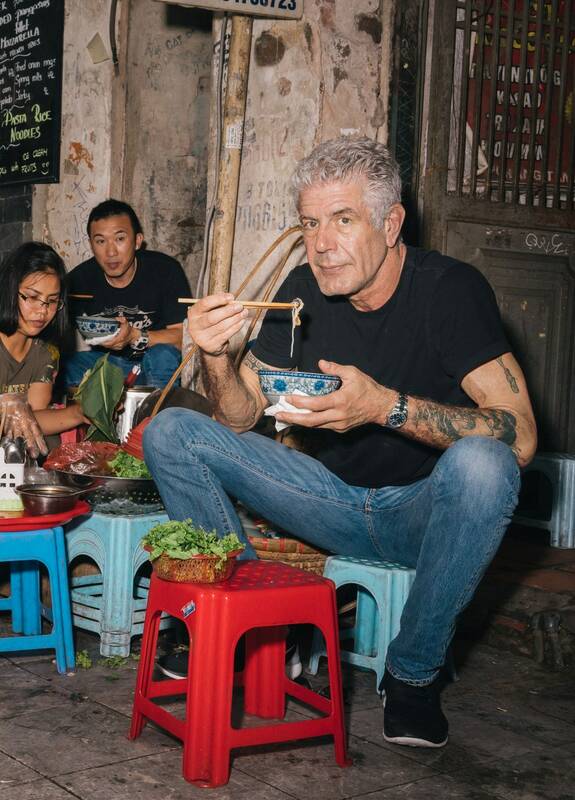 Bourdain exuded humanity and decency. He was the guy who had a dinner of noodles in a roadside eatery with President Obama when he went to Hanoi. It was seen all over the world. Bourdain’ s death is a loss to good television and I will miss him. He had such a good life. So sad he took his own life. RIP Anthony Bourdain! True. He was among the best on food network. Not sure what drove him to suicide .. His shows were doing well on CNN.. Kate Spade.. another successful designer entrepreneur ended life this week.